Yachts and private charter ship operations are big business in South Florida. In fact, there are many job search companies and websites that are devoted to helping people build their careers as crew members on yachts and private charters. Forbes reports that the yacht and super yacht industry is sustaining revenues in excess of $20 billion each year and growing. Yet, paid workers on yachts and private charters are not covered by workers’ compensation, which is a bit troubling for such a potentially hazardous occupation that includes odd shifts, late hours, and working aboard various ships in open waters. Fortunately, there are federal protections for injured yacht crew members. What is the Merchant Marine Act of 1920? In 1920, Congress passed the Merchant Marine Act (often referred to as the “Jones Act,” after its sponsor, Senator Wesley Jones), to boost maritime activity and provide for a strong and regulated maritime economy among the states. Several key provisions are in place to promote the U.S. economy, such as the requirement that all ships transporting goods within and between U.S. states and territories be manufactured and ported in the U.S. As part of building a strong merchant fleet, the Jones Act also included significant protections for workers and crew members aboard ships at sea. Why Do Yacht Workers Not Get Workers’ Compensation? 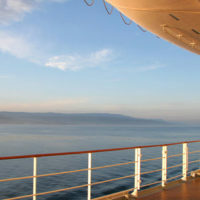 Because ships travel from state to state or country to country, and because workers compensation laws vary greatly between states and countries, in order to assure a uniform standard and to avoid ship owners and employers from being subjected to a patch work of differing requirements, the Congress passed the Jones Act which provides a uniform standard for ill or injured crew no matter where the ship happens to be or happens to be going to. Seamen are covered. The law defines seamen as just about anyone who earns their living from working aboard a ship or identifiable fleet of ships. If you are in doubt, contact a maritime lawyer to find out if you are covered by a state workers compensation scheme or the Jones Act. But if you work full time (more than 30% ) on a yacht, chances are you’re covered through the Jones Act, not workers’ compensation. How is the Jones Act Different from Florida Workers’ Compensation Law? In Florida, an injured worker does not have to prove negligence to be compensated. In general, in the early part of the 20th century, states began passing workers’ compensation laws, recognizing that there needed to be a balance between protecting workers and ensuring certainty and predictability for employers. Thus, workers do not have to prove negligence, but injuries are compensated through a set, structured chart of compensation. Therefore, employers do not worry about unpredictable jury verdicts. Disputes are handled through a state agency or commission. On the other hand, injured yacht crew members may sue their employers to recover medical expenses and lost earnings. However, there is a trade-off: they must prove the employer was negligent in some way in order to recover. In keeping with the philosophy of workers compensation statutes, the negligence threshold has been lowered, a Jones Act seaman need only prove that the negligence played any part, no matter how small , in causing the injury in order to recover. What Can Yacht Workers Recover? Once he/she establishes negligence on the part of the employer, the injured crew member can recover lost past and future income, past and future medical expenses, past and future pain and suffering and other non-economic damages. During the period the crew member is receiving treatment, the employer must also pay maintenance and cure. Maintenance is a daily allowance which is designed to cover the crew member’s rent, utilities, and groceries or meal. Cure is the cost of medical care. If you’ve been injured as a crew member aboard a yacht, you probably have a lot of questions that just can’t be answered online. You need real answers from a trained expert who knows the industry. Attorney Michael F. Guilford has decades of experience representing injured seamen. Maritime law is very different from other areas of personal injury. Call or visit Michael F. Guilford, P.A. 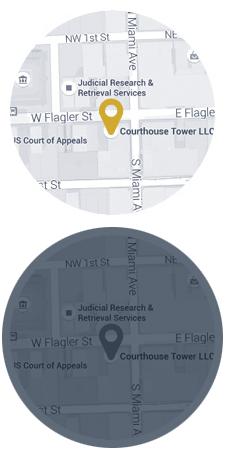 in Miami today to schedule a free consultation to discuss your case. There are strict time limits on recovering for your injuries, so you can’t afford to delay.